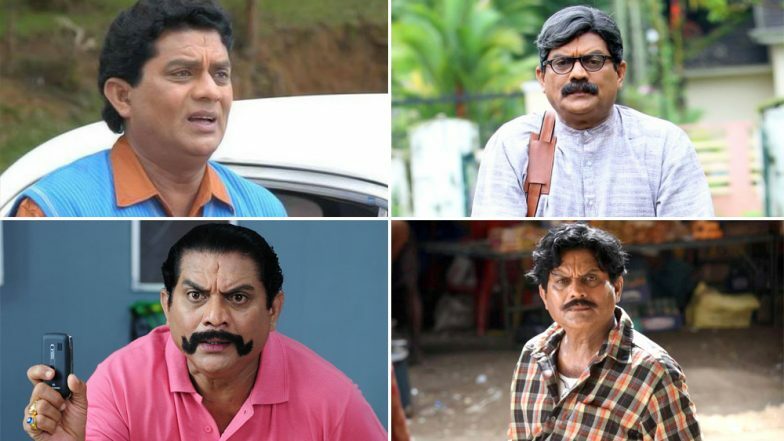 Malayalam Actor Jagathy Sreekumar All Set to Make a Comeback to Films After a Gap of 7 Years! Jagathy Sreekumar is not just a popular name in Malayalam cinemas but talk of comedy genre, it is this veteran actor’s name that anybody can think of. Jagathy met in a major car accident in 2012 and was hospitalised for almost a year. The superstar who has acted in more than 500 films is all set to make a comeback after a gap of seven years. This is piece of information is surely going to leave fans super-duper happy. Fans were eagerly waiting to know whether Jagathy will ever return to the big screens or not, and here is the answer to clear all the doubts. Good News! Malayalam Actor Sreenivasan Shifted From Ventilator; Hospital Confirms Health Condition Is Improving. As per a report in Manorama Online, Jagathy Sreekumar is going to make a comeback to acting through an advertisement. It’ll be produced by Jagathy Sreekumar Entertainments. He is making an appearance in the advertisement of a theme park based in Thrissur. It is also reported his children and some close members of his family will be featured in the advertisement. The report also states that Jagathy is returning to acting career after approval given by his doctors. In terms of acting in films, Jagathy will be active by 2020. Sunny Leone to Shake a Leg With Malayalam Superstar Mammootty in ‘Madhura Raja’ – View Pic. Jagathy Sreekumar will be has won numerous accolades in his career spanning almost 40 years. Other than acting, Jagathy has also directed two films - Annakutty Kodambakkam Vilikkunnu and Kalyana Unnikal.